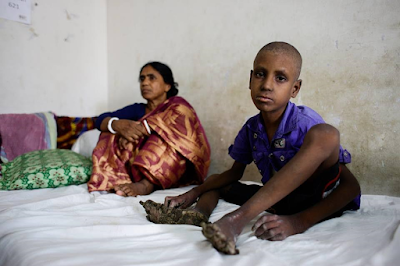 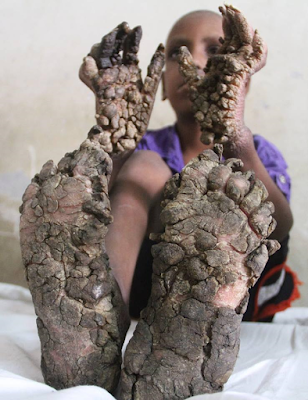 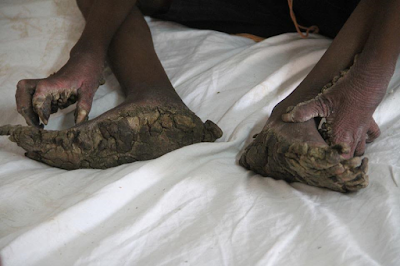 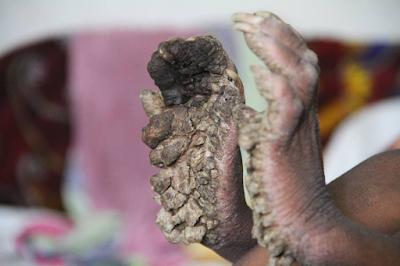 Check: Photos: 7-year-old boy suffers from rare skin disorder that is turning his hands and feet into "trees"
The warts has grown to the extent that the boy cannot even walk or eat by himself. 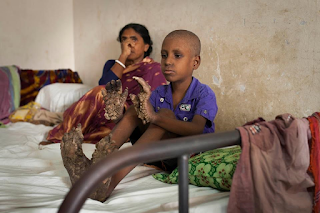 Fortunately, doctors are hopeful that his hands and feet are operable. They explained that the child's family is extremely poor and the boy has lacked the nutrition necessary for his physical development, which contributed to the disease.